Job Description Who We Are My Trusted Builder is a small but rapidly growing project management construction company based in modern and fun offices in London. We carry out striking work and creative, bespoke design services that reveal a space’s potential and showcases each client’s unique personality and need. Our service covers House Extensions, Loft Conversion, Refurbishment and Commercial fit-outs. We offer a full bespoke end to end service from commissioning architects, obtaining planning, building regulation, structural work, party wall agreements and full turn key service under the guise of project management. We believe that each client is an individual. They deserve professional services that can both capture their imagination and exceed their expectations. By drawing on our wealth of experience, we can surpass the level of service they would, each and every time… no exceptions. What we are looking for My Trusted Builder is looking for an Estimator/Quantity Surveyor to join our small growing team. You will be preparing estimates and working on secured contracts in refurbishment, loft conversions, extensions and fit-out projects in the commercial and residential sectors ranging in size from £50,000 to £500,000 – with the support of administration staff. You should have a good track record within the refurbishment, commercial and residential sectors of the construction industry. Job Title: Estimator/Quantity Surveyor Reporting To: Director Purpose: This new role is seen as pivotal to the growth and future success of the business. You will act like an owner; a true entrepreneur, open minded and an independent thinker that can take and give constructive feedback from the whole team in order to grow it and the organisation. You will be great at what you do, having fun along the way, and someone whom the owner can entrust to take over the whole estimating service, and build a team around. Aims You will manage the whole estimating service and in liaison with the Director and Contracts Manager ensure projects are accurately costed and invoiced accordingly, maintaining profitability by close scrutiny of contractors and sub-contractor accounts. You will work closely with the in-house team, other professional partners, contractors and clients ensuring a seamless service is offered. Role Responsibilities Understand and scrutinise Project Specifications & Drawings, create estimate for client Complete tenders within given timescales. Package estimate for client submission and liaise with other team members to secure the project. Prepare contract ready to be signed for costumers and subcontractors. Create bills of quantities Assist in PQQ from preparations through to submission when applicable Prepare and accurately update a report for the Directors on all tenders and submissions Meet with Clients and Consultants to build relationships and ensure future business development. Understand and scrutinise (Sub-) Contractor quotations, ensuring accuracy and value for money whilst maintaining profitability for the business. Create project cost sheet from bill of quantities and other resources to enable accurate ordering and use on site. Create Suppliers form for goods supplied by the company Create Suppliers form for goods supplied by the client designer and indicate dates when products or information are required to be available on site. Review and where necessary revise sub-contractor variations to ensure accuracy and value for money for client Carry out site visits and surveys as necessary Analyze and resolve (cost) disputes that may arise between the subcontractors, Client and Company. Cost control and variations through builder trend platform Create variations using BuilderTrend software Liaise with Clients, Architects and Designers in relation to requests for pricing, tendering and cost control Ensure timely and constant follow up with clients and update CRM system as necessary. Compare market prices and constantly update costing and pricing models to ensure profitability is maintained for both subcontractors and the organisation. Constantly update the contract with new products and services ensuring communication to client in order to upsell and or improve specification. Upload new projects to BuilderTrend system (Sales and after sales) Integrate the organisations bespoke Excel bill of quantities and contract to BuilderTrend platform. Suggest, help with and implement new policies and procedures to constantly improve the estimating, sales and cost control process Feed-back to other colleagues on how to improve business processes and organization and team communications. Interview and train new members of the growing team Skills and Abilities excellent interpersonal skills, communication skills both written and oral excellent analytical and questioning skills ability to negotiate on behalf of the client whilst maintaining the organisations overall integrity the ability to effectively manage time and produce quality work in order to win projects the ability to work with new platforms as and when required. Attention to detail. Great computer skills in excel word and database systems. Good organisational skills. Forward thinker prioritise deadlines. Qualifications and Experience Several years’ experience of tendering for complex refurbishment and extension projects. Full understanding of construction drawings, cad work would be advantageous for design work if needed Working knowledge of appropriate software systems technical ability to interpret design drawings and complete an accurate take off sheet. An appropriate trade qualification. 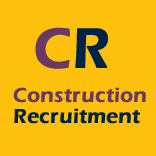 You should be capable of demonstrating previous successful experience of estimating and cost control of projects within the range of £30,000 to £500,000. The Company will offer a base salary of £35kto £45k P/A and 1% percent of all successfully contracts which is an estimated £20k for first year, negotiable after that. There will be a 3 months’ probation period.